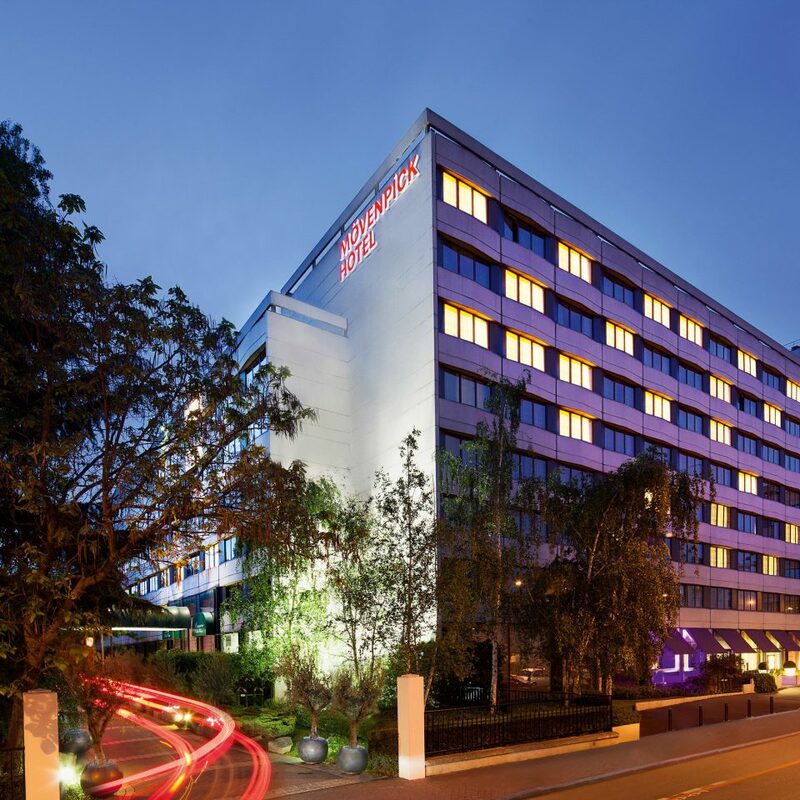 The four-star Mövenpick Hotel Paris Neuilly is ideally located for exploring the heart of the romantic French capital, situated, as it is, between La Defense and the Palais des Congres Morte Maillot. 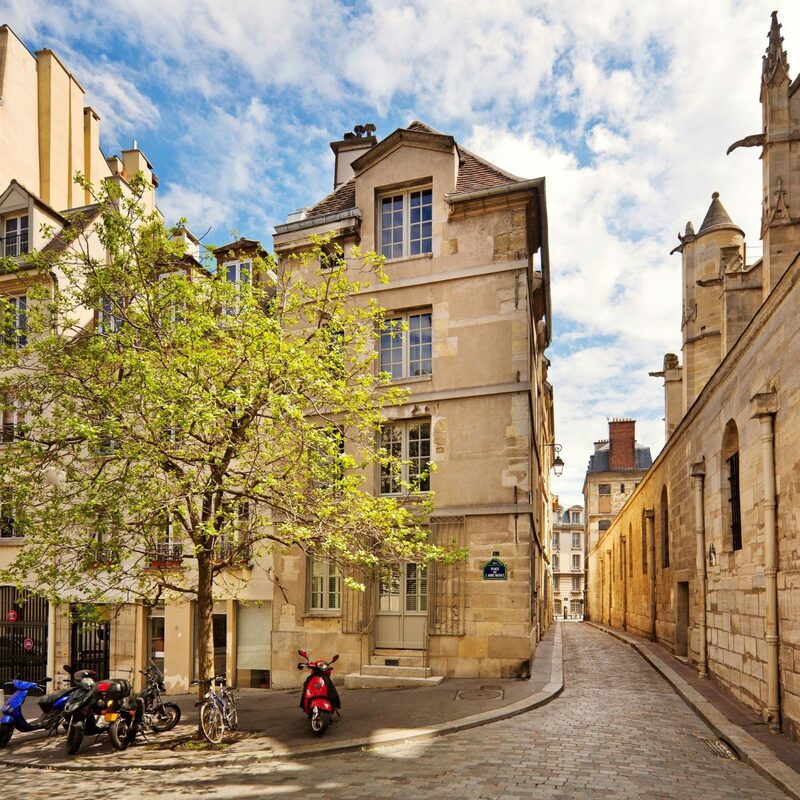 Quiet and sought-after, the residential Neuilly neighborhood is just a few metro stops from the main sights, such as the Arc de Triomphe and the Champs Elysees. Recently renovated, this city hideaway is home to calming neutral hues and Parisian art, neatly arranged in a contemporary, modern style. 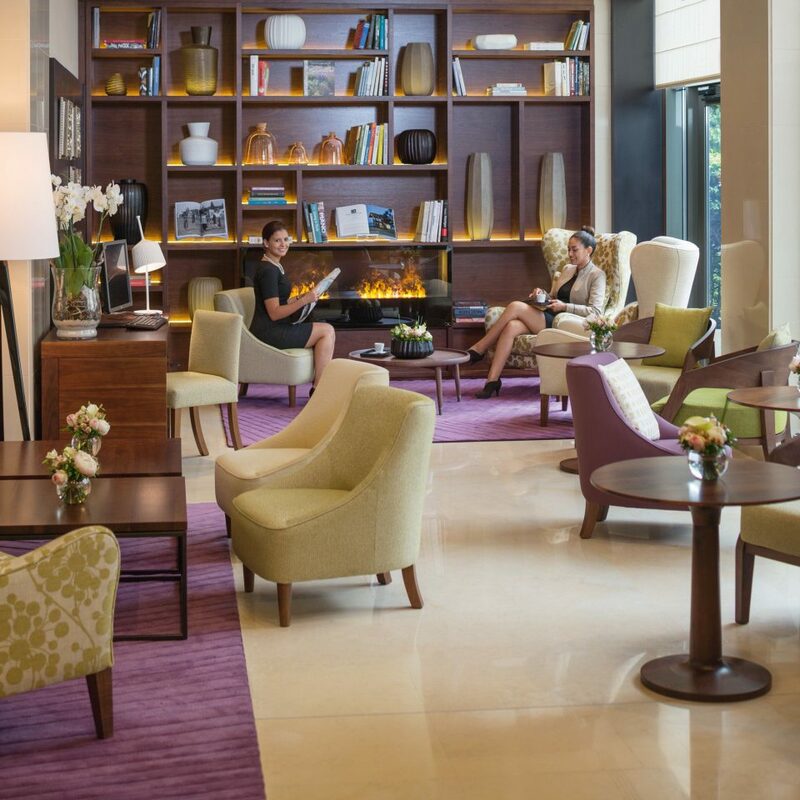 After a day of taking in the sights, take a load off at 58 Bar & Lounge, with a glass of wine and a slate of tempting French cheeses. 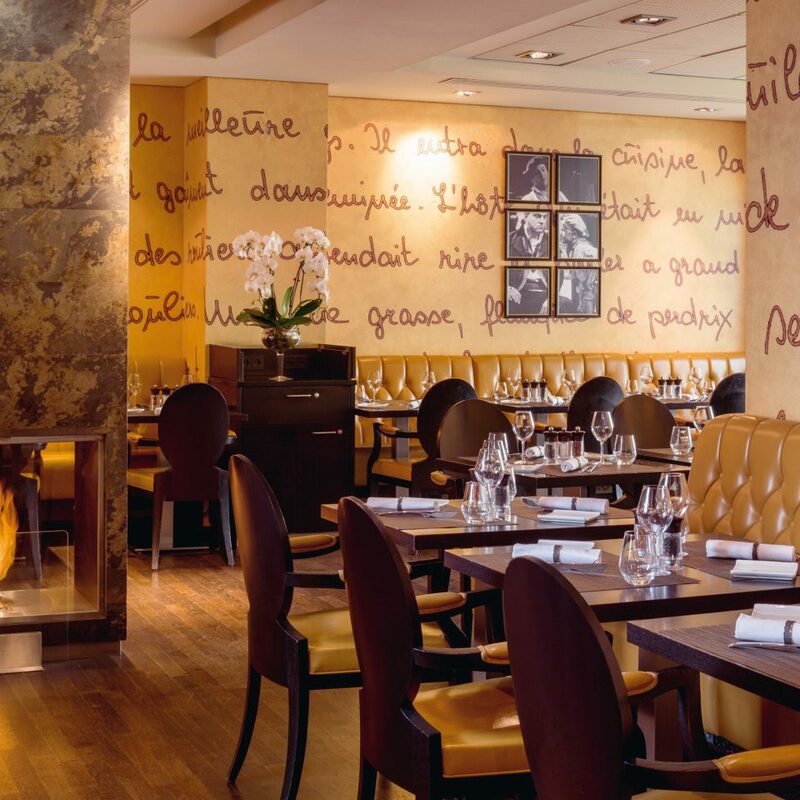 For a taste of France, without having to leave the hotel, try Victor Hugo Restaurant, where the menu features international and classic French cuisine. Superior and Deluxe rooms both offer 270 square feet of elegant, contemporary space. 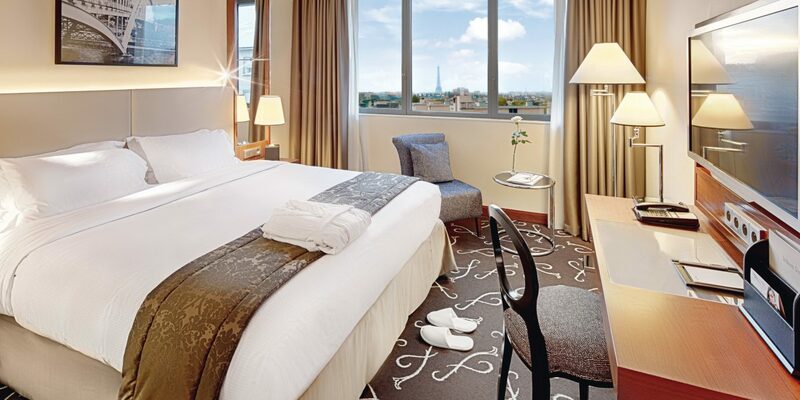 Take in views of Neuilly Boulevard or the garden from the window of the Superior abode, or opt for a Deluxe room for views of the iconic Eiffel Tower. 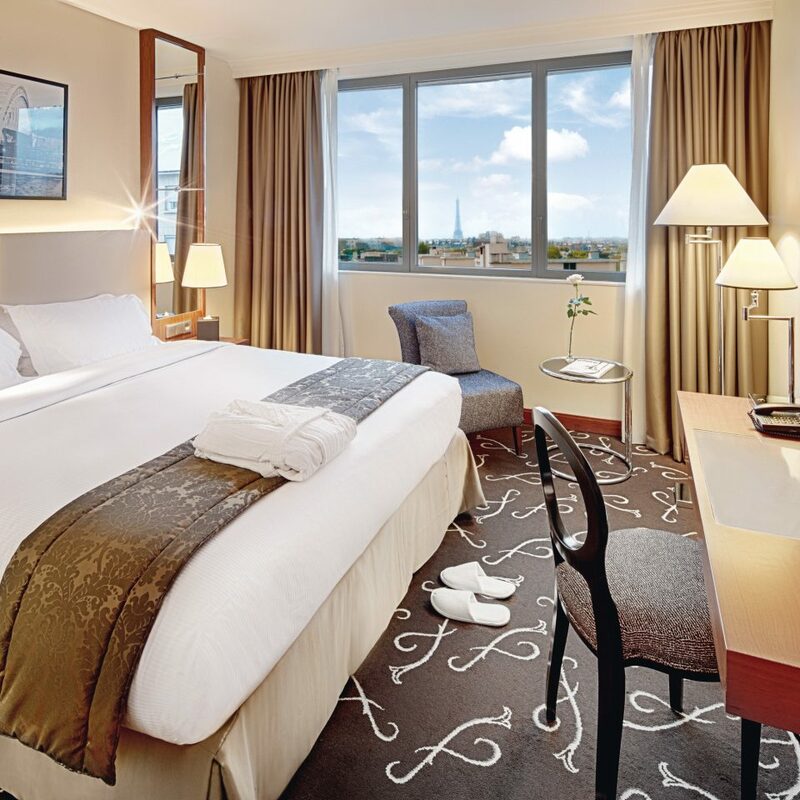 Parisian art on the walls, calming neutral hues and ambient lighting complete the package. Victor Hugo Restaurant offers a menu of French and international dishes, in an elegant contemporary setting. Snag a seat by the fireplace in the cooler months. 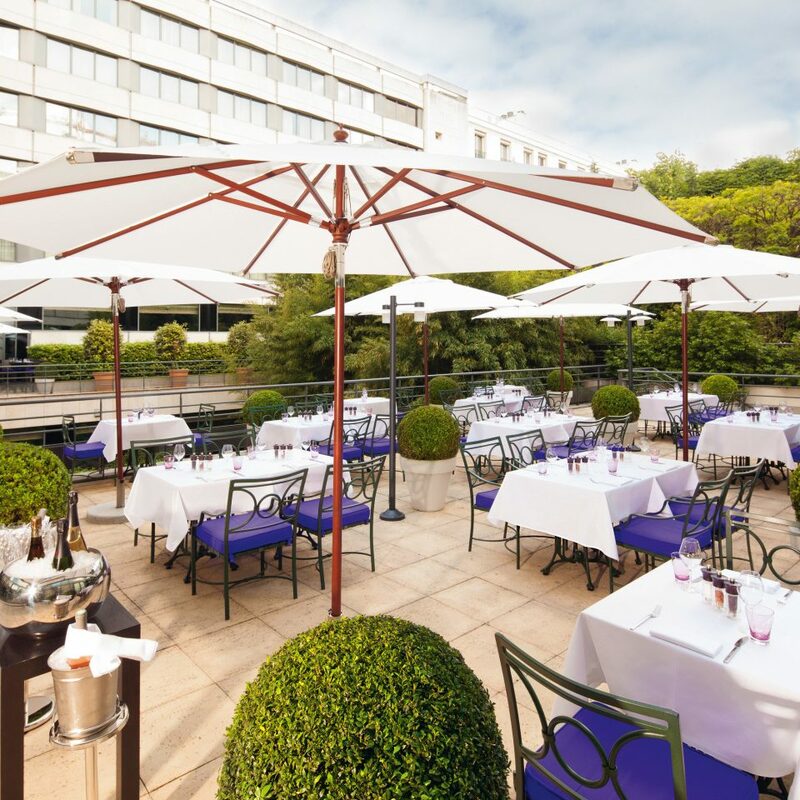 From May to October, the terrace is open for business, serving coffee, drinks, lunch and dinner. Cocktails, champagne, cheese and wine are all on tap at 58 Bar & Lounge. 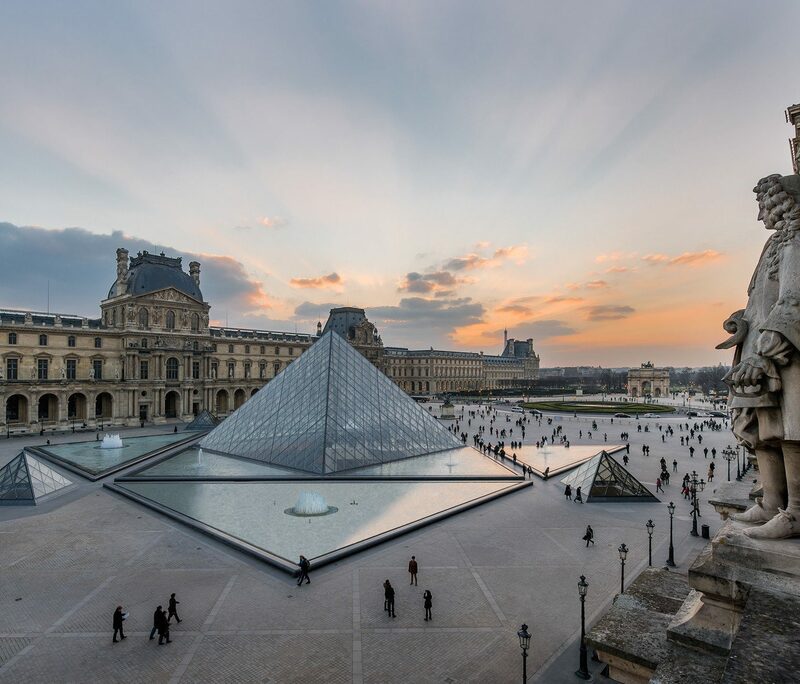 The City of Lights is rich in culture and heritage, offering a jaw-dropping collection of museums, galleries, theaters, shops, bars, cafés and restaurants. 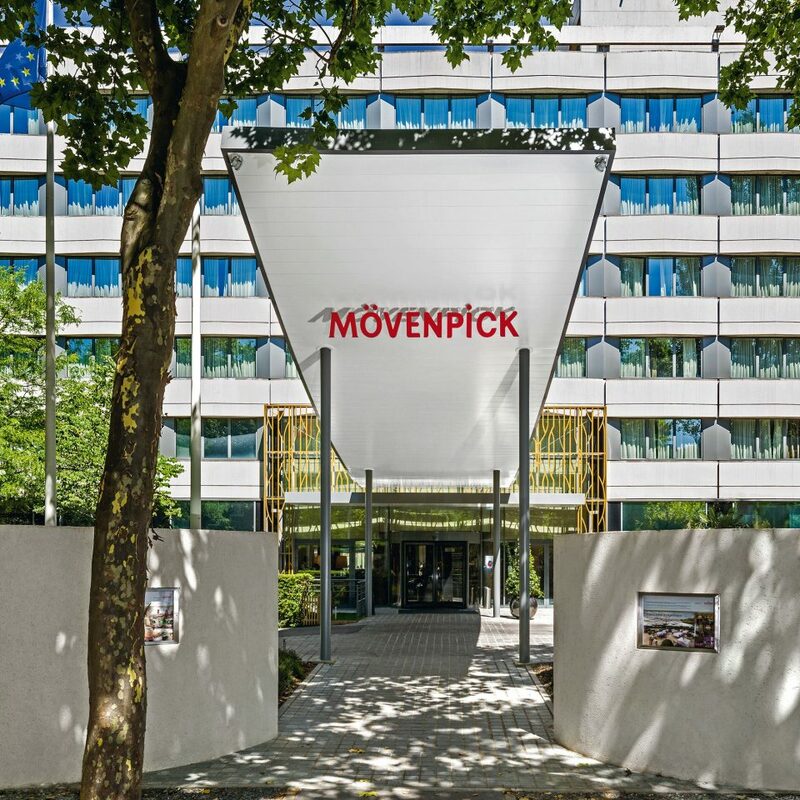 From Mövenpick’s ideal central location, it’s easy to jump on the metro or don your sensible shoes and take to the streets, from Pere Lachaise Cemetery and Place de la Concorde to the Louvre and the Opera National de Paris. 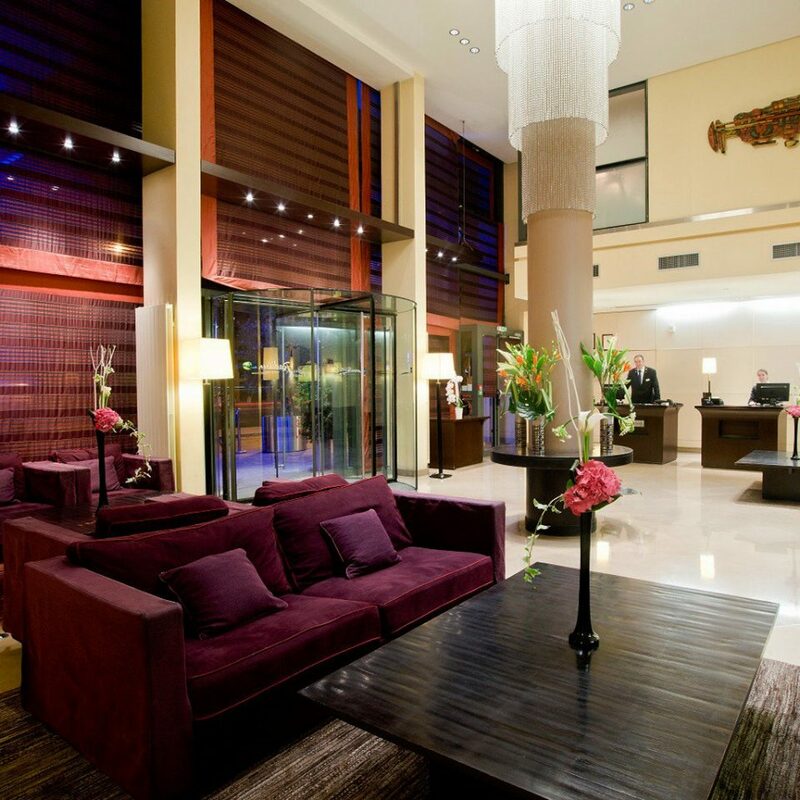 This hotel sits in a green pocket within 10-15 minute walking distance of two subway/metro stations. Lots of good restaurants & bistros within (shorter) walking distance however main location advantage is the amount of wide streets with lots of greenery, trees and flowers around. It becomes then a great place for walking & talking to and from experiences more in the city center. Still being quite convenient for subway (10 minutes one station 15 minutes another) walking. 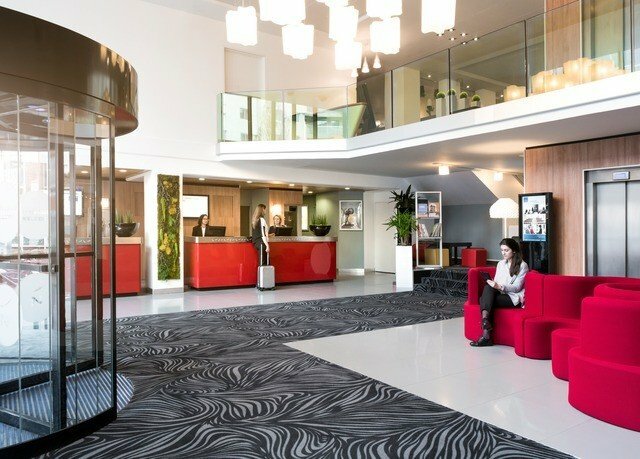 Hotel itself has modern timeless design inside, small but new rooms with a nice and modern bathroom. It has 4-5 star feel to it overall even if rooms are small. And lots of young attentive and efficient staff. Good modern bar and good possibility sit outside in the courtyard. Also very green place. I believe most visitors are there for business Monday to Friday, we saw lots of diplomats and others checking out as we arrived, and that Friday to Sunday is very quiet. It was very pleasantly quiet over Easter. They have a Sunday brunch which was booked full even the hotel seemed empty so I guess some neighbors come and eat. Area around is high end low rise housing and several nice/posh looking schools. Easter was excellent time to catch the spring around. Nice and clean, a pleasant choice,and probably very underutilized & under-appreciated and a good deal on the weekends. 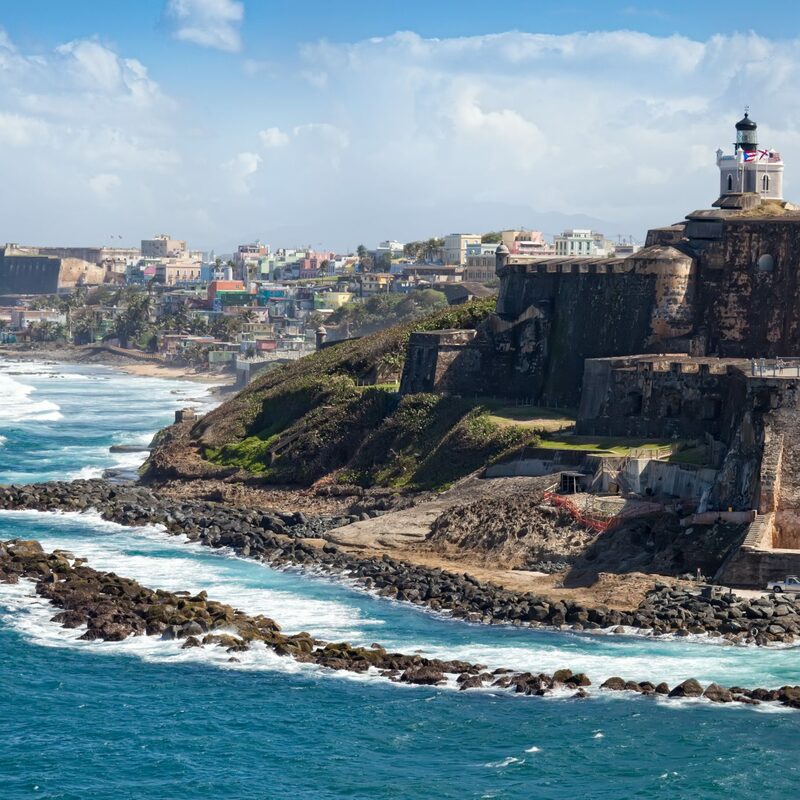 Located very central in the neighborhood and hotel is offering very clean and nice rooms and bathroom. 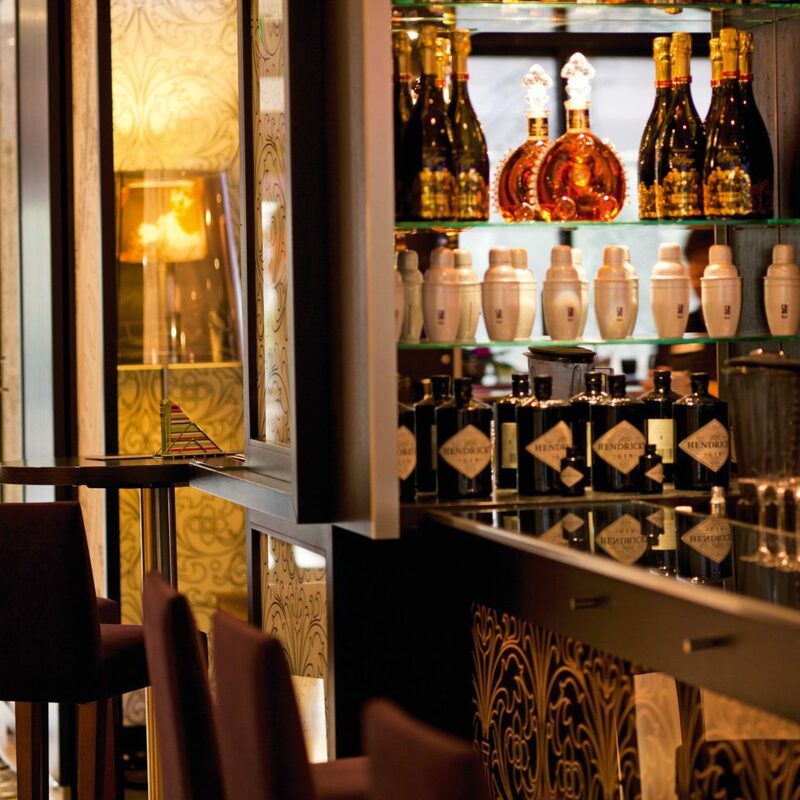 Victor Hugo Brasserie is located in the ground floor with nice snack, foods and drink. I am very satisfied with the hotel. If you choose a hotel in the area this is definitely one of best options. Kindly inform your staffs to be nice to their customers. I was having breakfast at 58 Bar & Lounge when 1 staff shouted at me while I was taking food on the buffet area.. He could have told me nicely what he wants to say instead of letting everyone hear what he was saying. Spent a week here for a business meeting. Rooms are fine. Decode is fine. Meeting rooms were fine. Staff were great. Food was below average. No club lounge. Hotel itself is in a nice, quiet area. Very peaceful. Choose this hotel if you need to be in this area, otherwise keep looking.